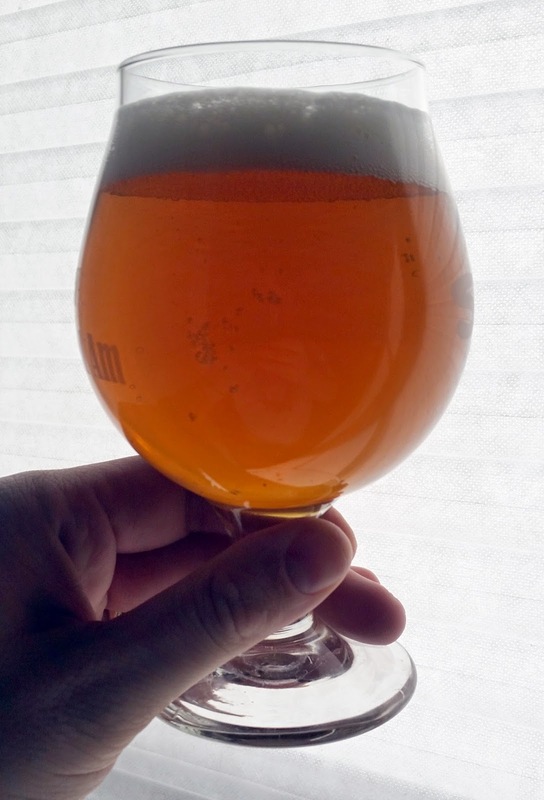 My Lab Bench Pale Ale has turned into a pretty nice brew; I did a formal tasting at the end of April (as well as a run-through with my homebrew club). Results are below. Crisp and hoppy, as expected for a dry-hopped beer. A touch citrusy. Clear, rich golden hue; off-white head with fine bubbles and excellent persistance. Hop-forward, only a hint of maltiness. Smooth bitterness on the finish. I think so, but with a little modification. My mash temperature seems to have been about right, but perhaps a little carapils would help with body. I am pretty pleased with how the first wort hopping seems to have created a smooth bitterness for the beer. The aroma is also just about perfect! This entry was posted in tastings and tagged Lab Bench Pale Ale, LBPA. Bookmark the permalink.